They say that the company’s image will reflect on the look of their office. The overall interior décor should indicate the company’s business and brand. Things should be on its proper places to attain desired look. Contemporary and minimalist look is not that important as long as they look their very best. 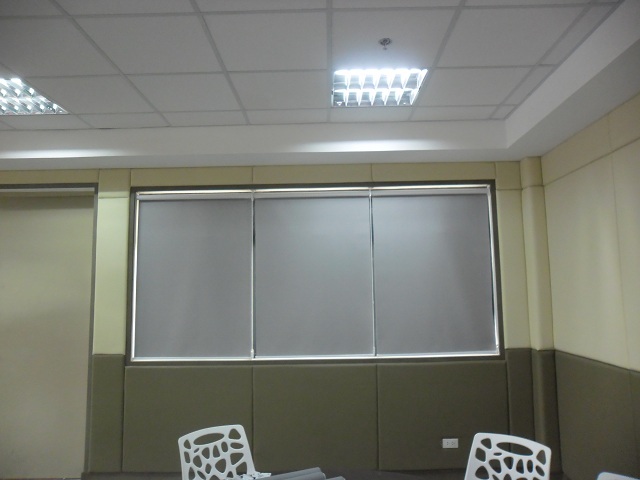 Our client from Fort Bonifacio Global, Taguig City, Philippines opted for Roller Shades for their unique office interior to uplift its good ambiance. Roller shades consist of various materials; either you will go for sheer-shade or total blackout effect. Their office preferred sunscreen material for Roller Shades, thus, allowing the light to still get through the windows or glass wall. Sunscreen materials allow you to enjoy the view while maintaining your privacy. 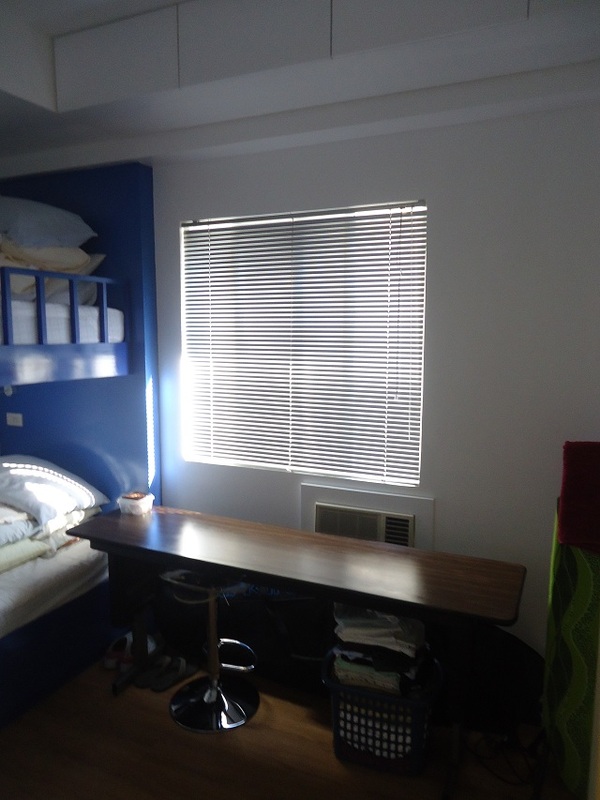 Being comfortable in your office cubicle or room is very necessary while working. Distractions like unwanted sounds, unwanted light and heat can affect your staff’s good performance and productivity. 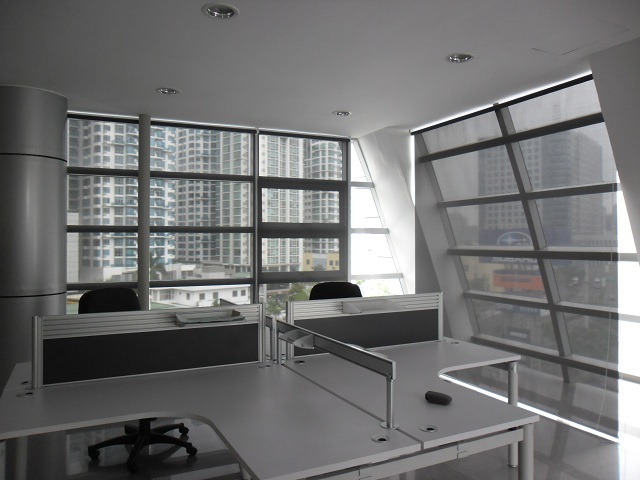 Offices, condominiums, residential houses and commercial establishments are our most clients. If you are interested with our products, feel free to visit us at 4th level Waltermart, Makati City, 3rd level Robinsons Metro East, Pasig City and 2nd Level Pacific Mall, Lucena City. Aside from window blinds, we also offer partition doors, wall coverings and carpet flooring. 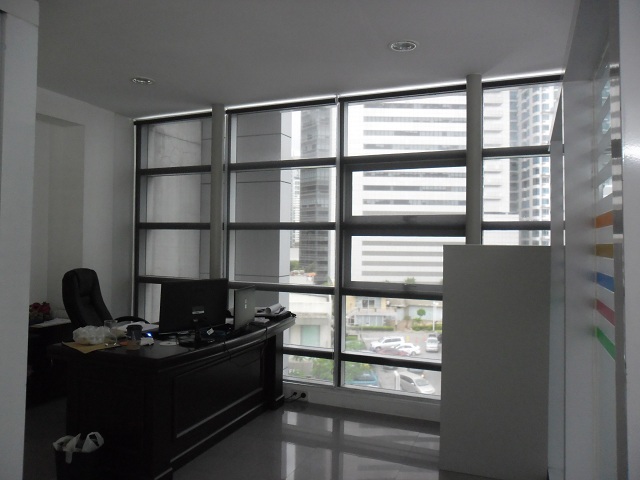 For more information, do not hesitate to call us at 0916 311 3909 / (02) 403 3262 or email us at inquiry@dswindows.com.